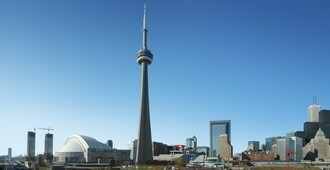 CN Tower is the famous landmarks of Canada which is 533.33m tall and it was built by Canadian National Railway. It consists of two decks named, Sky Pod which is 351m high and Space Deck which is 447m high. CN Tower is famous for its hotel named ‘360’ which is the revolving hotel. CN tower is visited by millions of visitors every year.